WordPress now powers a third of the World Wide Web. We provide security and stability for your organization’s public face. CanTrust was originally created by Drupal 5 developers, who needed reliable hosting. Since that time we have become the trusted experts at hosting any size Drupal application. Leverage the incredible power of Open Source in your organization. We can help you choose, install, configure and maintain open source apps of all shapes and sizes. We production host custom applications written in C, PHP, Perl, Python, Django, Ruby on Rails, Java and Node.js. includes 40GB Disk space and 100GB bandwidth. includes 250GB disk space and 250GB bandwidth. Host up to 25 domains, to consolidate all of your web properties. Stage sites for testing content. Development sites on a separate physical server. Onsite and offsite backups of your data are included with all plans. Host open source email, chat, source control, file sharing and backups for your organization. Keep your data in Canada on your private server. WordPress now powers a third of the World Wide Web, and for good reason. Its simple and polished user interface combined with the astonishing selection of themes and plugins make it an obvious choice for most websites. That popularity has come at a cost. It has led to ever increasing security requirements. Hackers have become more sophisticated and operate at scale using large automated botnets. These botnets work night and day, probing any popular site for vulnerabilities and trying to break into user logins. An unprotected wordpress site can easily succumb to one of these automated attacks over time, especially if a paid plugin or theme subscriptions lapses and it is no longer receiving security notifications. The number one thing that will protect your site in the long term is staying on top of updates with monthly WordPress maintenance. We do not perform site maintenance but we do require all customers to keep their site maintained. Most development companies and a few dedicated companies can perform this service on a monthly basis. We work with your developer to configure all sites we host with a security plugin. This plugin protects the site on multiple fronts and works in concert with our Intrustion Prevention Systems and Firewalls to block hackers and botnets automatically. We then move on from security to tune each website for performance using RAM-backed caching. Wordpress has an impressive built in caching system that is disabled by default. With a memcached backed page and object cache, your site will load lightning fast. For Enterprise customers, we add Varnish Cache and HAProxy to the mix for maximum performance and scalability. Go viral, without fear of downtime and without spending a fortune! Enterprise plans also include a separate development instance on a physically separate development server, for absolute isolation from production. These are especially useful for multi-developer teams to safety test and showcase their work in a production-like environment. WooCommerce, other web stores, and sites collecting PII (privately identifiable information) can be configured for maximum security on a private server. A 4GB VPS is sufficient for hosting most Drupal and WordPress sites and guarantees the security of customer infromation. For developers, We provide SSH, Git, WP-CLI, Composer, Node, and other essential devops tools. Drupal is in our DNA. CanTrust was originally created to host Drupal 5 sites, and Drupal hosting has always been our main specialty. Over the years our team have collectively developed hundreds of Drupal applications and we hosted everything from small research projects to virally popular blogs, news agencies, and activism platforms – the drop is always moving! Drupal offers incredible possibilities but a very technical learning curve. Our Drupal experts tune each site we host for maximal performance. Our rock-solid Drupal hosting environment will ensure your site remains working for as long as it needs to. We host Drupal 8, Drupal 7 and even the EOL Drupal 6 (at no marked up cost). We work with your developer to configure all sites we host for security and performance.  Drupal can cache to RAM using the Memcached module, which we configure with all websites. For developers, We provide SSH, Git, drush, Composer, drupal_console, Node and other essential dev-ops tools.  Choose from thousands of free, open source applications. If it installs on Linux we can set it up for you!